AUSTIN, Texas, October 6, 2011 – Today, on behalf of the Roman Catholic Diocese of Austin and three Pregnancy Resource Centers (PRCs), Liberty Institute filed a lawsuit against the City of Austin over its unconstitutional ordinance requiring PRCs to post signs at their entrances stating what services they do not provide, such as abortions and birth control drugs and devices. This ordinance compelling speech is part of a coordinated nationwide campaign by NARAL Pro-Choice America specifically designed to deter women from visiting PRCs and to restrict their free speech rights. The ordinance, which is the first of its kind in Texas, requires each PRC to post a sign at its entrance stating that it does not provide or refer for abortions or birth control services. Two of the pregnancy centers refer married clients to primary physicians for birth control, and the third center provides information to women about natural family planning and abstinence, two recognized forms of birth control. There is no requirement forcing abortion facilities to post signs or provide disclaimers stating what services they do not provide for women. 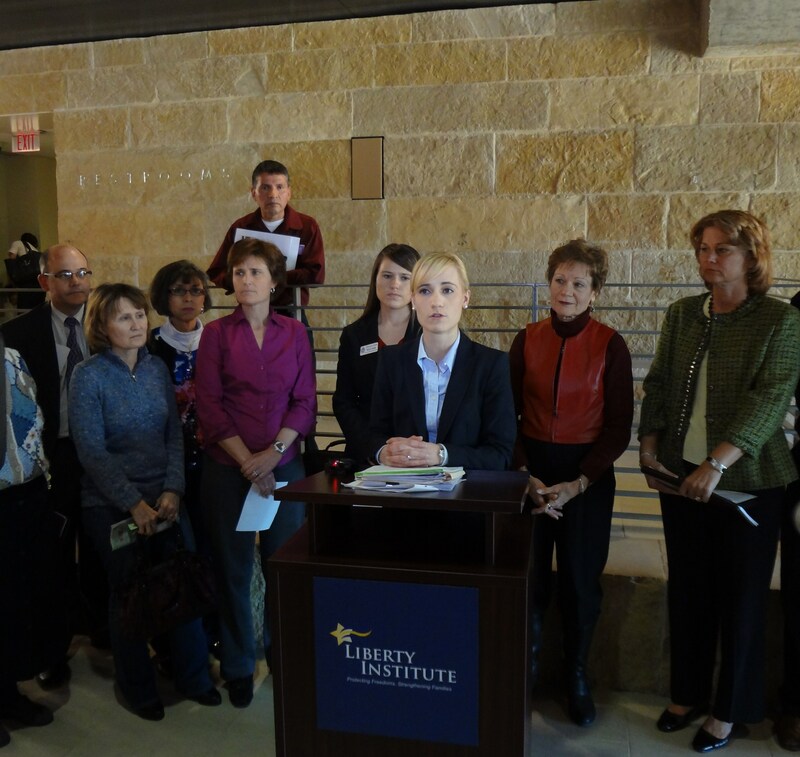 The ordinance is the result of deliberate and targeted discrimination against PRCs by NARAL and the City of Austin. NARAL pushed the Austin ordinance as part of a national strategy designed to restrict PRCs outreach to women in need of pregnancy resources and to solely promote and support abortion providers. Currently, Austin is the fourth local government in America to force PRCs to post signs. Similar ordinances compelling speech have passed in Baltimore, Montgomery County and New York City, but were enjoined by federal judges as violations of the First Amendment. The Roman Catholic Diocese of Austin, Catholic Charities of Central Texas, Austin Pregnancy Resource Center and South Austin Pregnancy Resource Center are Plaintiffs in the complaint filed against the City of Austin. Liberty Institute will continue to defend the rights of their clients and the countless women and children they represent.